Terms: All appointments to be at the pleasure of the court. 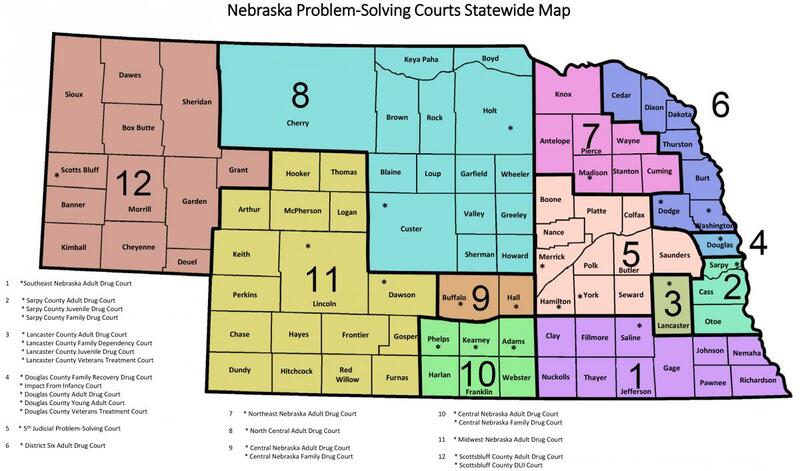 Purpose Statement: The purpose of the committee will be to evaluate the feasibility of implementing "drug courts" or other similar "community courts" in Nebraska. The committee will advise the Supreme Court as to whether such courts would have a positive effect on the administration of justice in the State and, if so, to provide the Court with recommendations as to the structure and integration of such courts into our judicial system.